Although the opioid crisis has been in the news a lot recently, America also continues to struggle with another deadly addiction: methamphetamine. Meth is a powerful, dangerous stimulant that can be swallowed, injected, or smoked. Amphetamines were discovered in the late 1800s, and methamphetamine was first synthesized in 1919. Methamphetamine was used by soldiers during WWII and as a weight loss drug until the 1970s, when it became a schedule II drug (source). Why was meth so popular, and why did the government become concerned about regulating its use? Methamphetamine causes the brain to release vast amounts of the neurotransmitters involved in the brain’s “reward system”. This means that soon after taking meth, the user experiences an almost immediate sense of euphoria and energy. The effects are so rapid and intense that some ex-users reported feeling addicted after only using the drug once or twice! (source) Even compared to other extremely addictive substances (such as opioids), meth addiction happens very rapidly for some people. So why is meth so addictive in particular? The addictive properties of all drugs involve a number of both social and biological factors. Meth is unique because it is unequivocally the most biologically-addictive street drug that researchers have ever studied. The amount of dopamine, norepinephrine and serotonin—the “reward pathway”—released by methamphetamine is unrivaled by any other known drug or biological event (source), including orgasms(!). Needless to say, the powerful euphoria that meth initially produces is extremely pleasurable, and not possible to replicate in any other way. Meth’s powerful effect on the brain’s chemistry also produces a similarly intense “low”, or comedown, afterwards. Unsurprisingly, studies have shown that using meth only a few times can cause noticeable changes to the brain’s natural balance of neurotransmitters. There is some evidence that with long-term use of meth, the brain’s ability to regulate these neurotransmitters can be seriously damaged, perhaps irreversibly (source). This may contribute to the rapid nature of methamphetamine addiction. As the user chases the “high”, the brain’s ability to regulate these neurotransmitters is being seriously affected. In a natural state, our brains balance neurotransmitters to regulate our moods, but meth wreaks an especially large amount of havoc on this balance. After each artificially-induced high, the depressive low gets more intense, making it increasingly difficult to feel “normal”. What’s the Difference Between Methamphetamine and Adderall? Although both drugs belong to the same class, methamphetamine is a slightly different molecule. Amphetamine salts are prescribed by doctors in smaller doses to treat Attention Deficit and/or Hyperactive Disorder (ADD/ADHD). In the case of methamphetamine, the “dose” experienced by the brain also far exceeds the dose of amphetamine salts that are considered clinically useful for treating ADD/ADHD (source). This is why our government classifies ADD/ADHD drugs as Schedule II (clinically useful but potential for abuse). Although amphetamine salts can be useful to treat ADD, they can also provide a “high” with larger doses or for those that don’t have the condition. Medications for ADD, like Adderall and Ritalin, are ubiquitous on high school and college campuses, making them comparatively easy to obtain illicitly. For some people at risk of addiction, ADD drugs can act as a gateway of exposure to meth (source) — much like oxycontin leading to heroin use. Another important reason why meth abuse and addiction happen so easily is how common it is. Most psychoactive drugs require cultivation of plants and/or complex chemical reactions that must be done in a professional laboratory. Methamphetamine, on the other hand, can be manufactured comparatively easily with existing over-the-counter drugs and other legal ingredients. This makes the street price of meth cheap and especially common among poor and isolated groups of Americans. The neurotransmitters involved in methamphetamine use are also implicated in a variety of psychiatric disorders like depression. So, meth may be especially appealing to people who are already struggling with untreated mental illness. Methamphetamine is certainly a powerful, if unsustainable, way to “self-medicate” these conditions. Combined with a lack of access to primary care, let alone psychiatric care, meth is a perfect storm for vulnerable populations: it seems like a great way to make oneself feel better in otherwise bleak surroundings (source). On the other end of the spectrum, however, meth is also used as a performance-enhancing drug by wealthy professionals. Meth’s stimulating effects can be appealing to doctors, lawyers, students, and others who work long hours. Even famous movie stars have been caught with meth, including Marilyn Monroe, Lindsay Lohan, and Robert Downey Jr.! Athletes, too, have been caught abusing the drug. Besides the tennis legend Andre Agassi, multiple members of the New York Mets had an infamous reputation for abusing the drug in the mid-80s. Methamphetamines have now been banned by all major sports organizations (source). Another interesting fact about meth is that while it’s highly addictive, the body doesn’t become biologically dependent on it in the manner of opioids or alcohol. Meth users will build tolerance and will start needing more to feel the same high, which can lead to deadly side effects like heart attacks (source). Once the user stops meth, however, physical withdrawal from methamphetamine itself is not as dangerous, besides extreme physical fatigue. However, most withdrawing users will experience debilitating depression and other psychiatric symptoms (source). This makes the psychological aspect of quitting meth extremely unpleasant and difficult. For this reason, the chances of recovering from methamphetamine use successfully is much higher if the addict has access to a doctor who can prescribe mood-stabilizing medication (source), along with evaluation and talk therapy to address possible pre-existing depression. 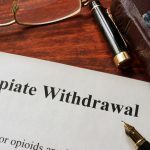 If you or someone you know is struggling with addiction to methamphetamine, getting professional help could not only save your life, but will make the process easier. Contact us now to find out more about how to get help.